You’re on a mission to find vodka. Irish vodka, to be exact. Yes, you realize that the Irish aren’t known for their clear liquor. Yes, you also know that beer and whiskey are preferred here. But you spotted a bottle of RubyBlue Potato Vodka during a recent departure from Dublin Airport. Then you just noticed the same serif logo on a fruit-filled bottle upon landing in Belfast. It not only piqued your interest, but kind of became an obsession. You must find RubyBlue. A quick Google search points you to Lisburn just eight miles southwest of Belfast. For a long time, Lisburn was a borough of the capital. It was, ironically, given its independence and declared a separate city during Queen Elizabeth II’s Golden Jubilee celebration. It’s now Northern Ireland’s third-largest city. From what little you knew about it, you expected fine linens, lots of shopping, and the regional headquarters of the British Army. You certainly didn’t expect vodka. But it turns out that Hughes Craft Distillery produces small-batch RubyBlue Fresh Liqueurs and Potato Vodka in Lisburn. A husband-and-wife team opened the distillery in 2010. They started by making Ireland’s first potato-distilled vodka. It’s pure and smooth with a subtle hint of vanilla. They experimented with fruit liqueurs using fruit, wild berries, and botanicals from the countryside. Blackcurrant, Cranberry, Wild Blueberry, and even Chilli Pepper were the results. Then they added a Cask-Aged Potato Vodka. The straw-colored alcohol sits in Irish whiskey barrels for four months before being blended with artisanal water from the Antrim Hills. So there’s only one problem. Hughes Craft Distillery doesn’t have a tasting room for you to try their vodkas and liqueurs. 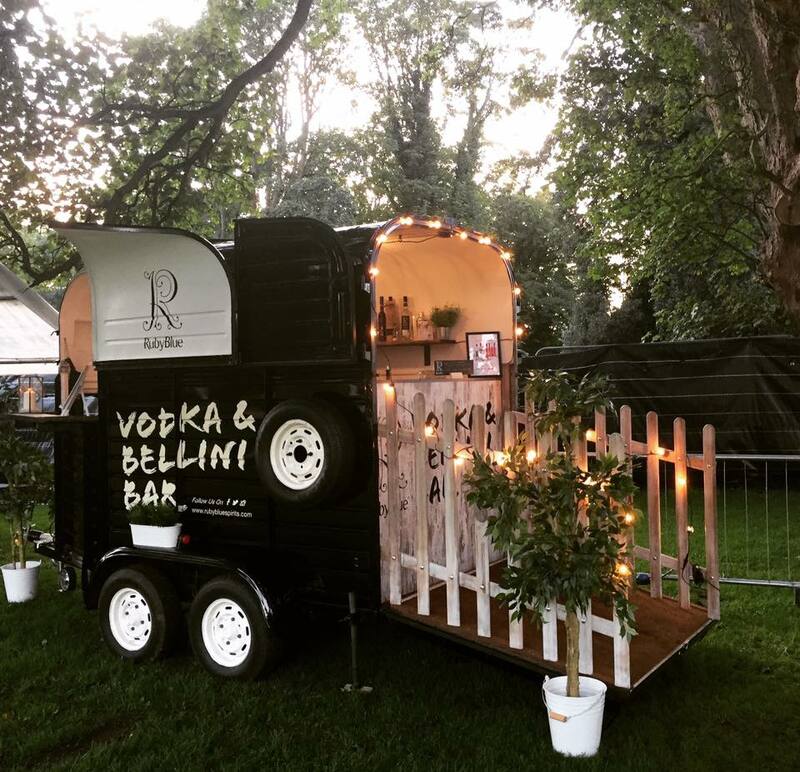 More social-media scouring (you’re starting to feel like an online stalker) reveals an adorable Vodka & Bellini Bar, though. The old Rice horse trailer from the 1940s has been converted into a little tasting stand that offers Blueberry and Cranberry Bellinis, Bloody Marys, and sips of vodka. Now you just need to find that at a local festival.